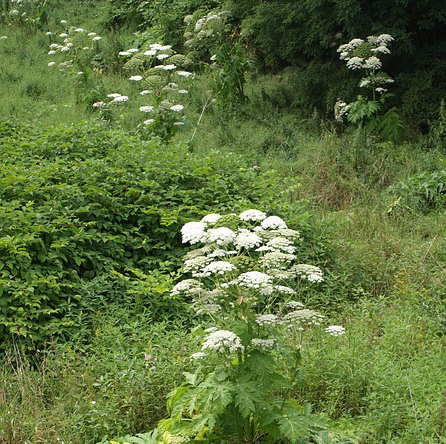 Giant hogweed (Heracleum mantegazzianum) is a large perennial weed that can reach heights of 15-20 feet. 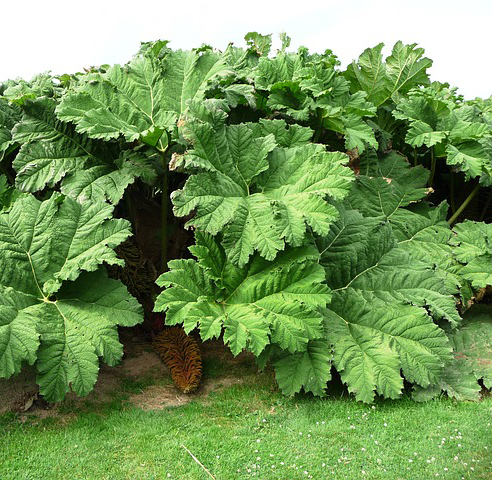 It tends to form dense canopies and has dark reddish-purple spotted stems covered with fine bristles, and leaf stalks with compound leaves which can expand outward 5 feet from the stem. 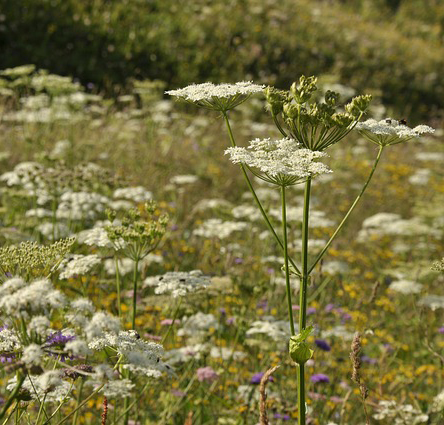 The flowers are broad, flat-topped umbels of numerous small white flowers which extend 2.5 feet in diameter. 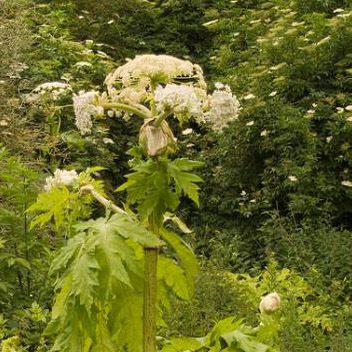 Giant hogweed takes at least 3 years to produce its first flowering stalk. 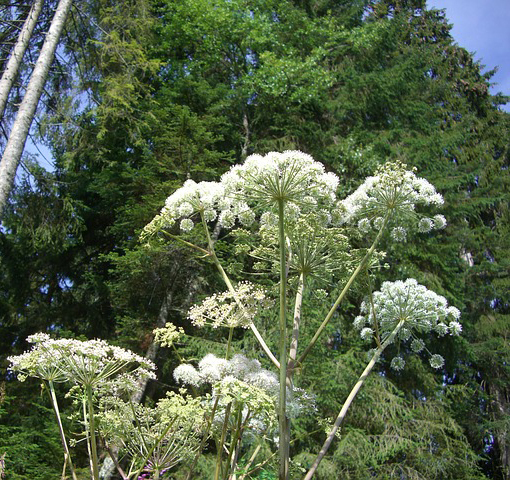 Giant hogweed causes photosensitivity upon contact and subsequent exposure to sunlight. 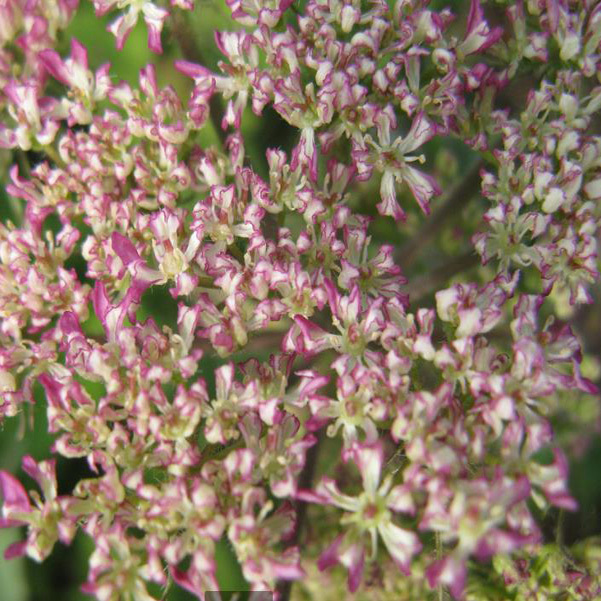 The plant exudes a clear watery sap which contains several photosensitizing furanocoumarins; several of which are known to be carcinogenic and teratogenic. The leaves and roots have the highest concentrations of toxins, during the early part of the growing season. MECHANICAL CONTROL: Control of small groups can be done with hand tools. Never use a weed whacker, as it will create uncontrollable sprays of the toxic sap. 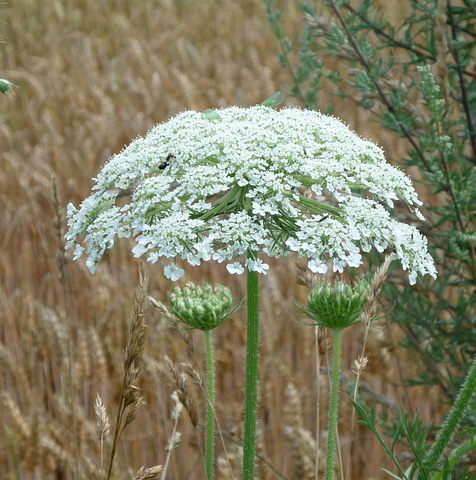 CHEMICAL CONTROL: Herbicides with triclopyr or glyphosates.